DNA is the instruction manual for life. Reading DNA sequence encoded in our genomes (genomics), was first developed by Sanger using the “dideoxy” method over 40 years ago. 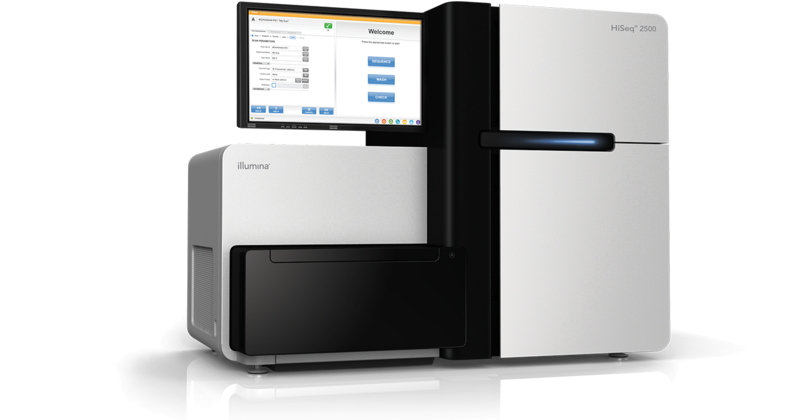 Next Generation Sequencing (NGS) allows parallel sequencing, resulting in the generation of Giga bases of data in a short amount of time. This recent technological advances (NGS) has reduced the cost per genome significantly, making genomic data more accessible to individual researchers. Decreasing costs are making genomics an attractive and integral part of any successful bioscience research project. The Bangalore Biocluster Next Generation Genomics Facility (NGGF) are providing genomics services to scientists, train researchers and also working on national and international genome projects. NGGF has helped scientists across the campus and India to sequence genomes from a range of organisms . At our facility, we are performing services such as Transcriptome, Exome, Whole Genome DNA sequencing, Transposon Directed Insertion Sequencing (TraDIS) , Degradome sequencing, small RNA, amplicon, ChIP seq and Metagenomics using Illumina sequencing platform HiSeq 2500 and Miseq beside this we also provide Droplet Digital PCR (ddPCR) services for absolute quantification, copy number variation and rare event detection. We have completed more than 500 NGS projects. NGGF aims to provide reliable sequencing data with better quality, rapid turnaround time, cost effectively and assist researchers in achieving their sequencing related research goals.